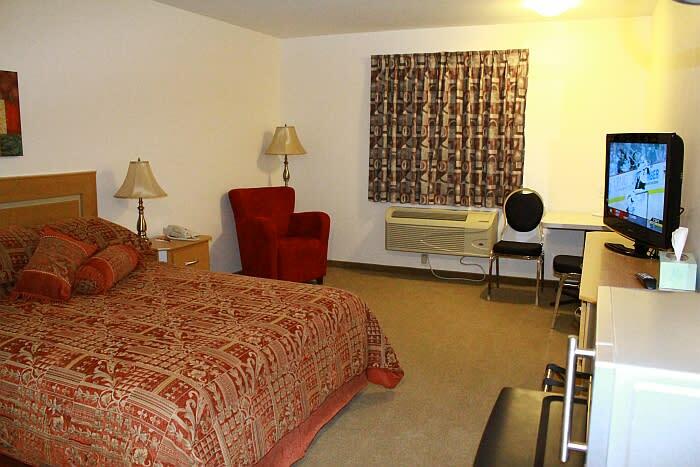 Clean, comfortable, air-conditioned rooms. Near golf courses, attractions, shopping and recreation facilities. Complimentary continental breakfast, cable TV, wireless Internet, voice mail, two kitchenette rooms. Credit cards accepted.